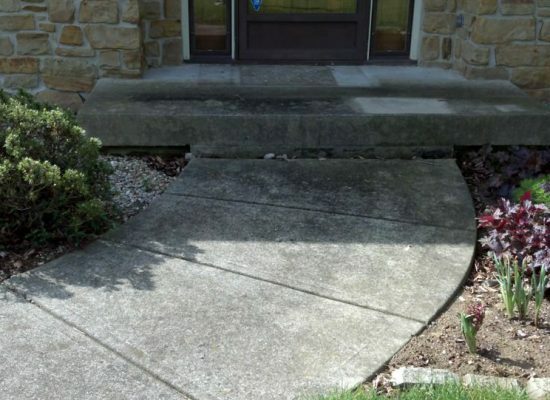 A professional concrete cleaning company, like Indiana Cleaning & Sealing, doesn’t just spray away the surface stains and grime on your concrete. 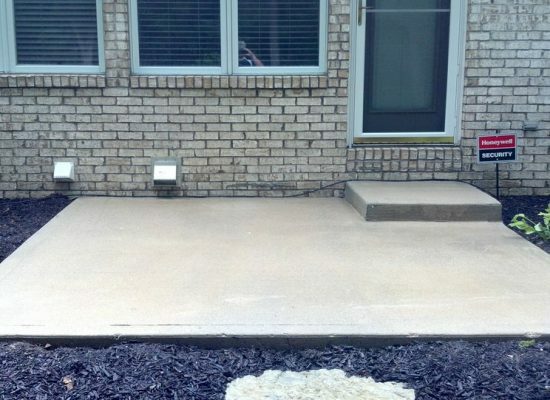 We go deeper to eliminate contaminants and disinfect the concrete, keeping your concrete looking better longer and extending the time between your treatments. 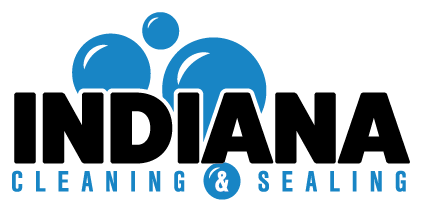 Indiana Cleaning & Sealing has developed a cleaning process to remove and eliminate the mold, moss, mildew, grease, dirt and algae infestation on almost any type of surface or material. 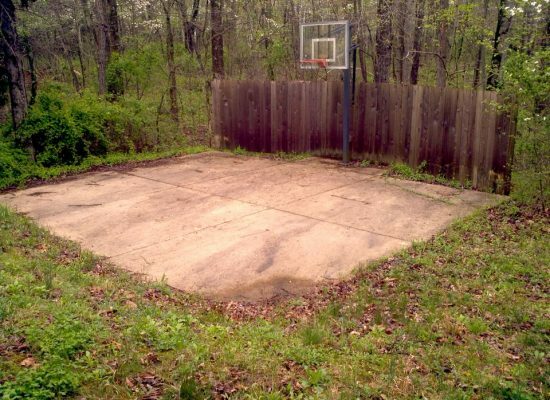 Years of dirt and grime practically melt away with our pre-treatment cleaning. We attach our industrial rated power washing unit to a surface cleaner (think of a large floor buffer) providing us with pressure cleaning ability. 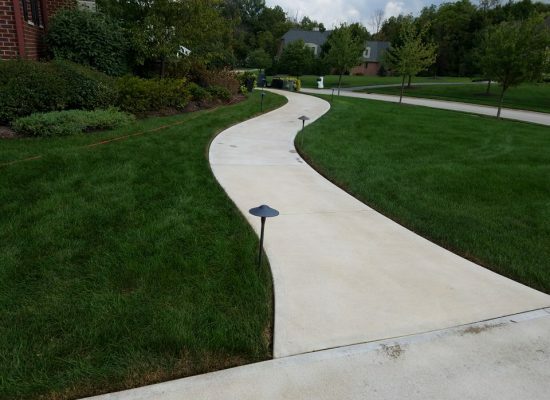 The concrete surface is left uniform without streaks typically seen from using a wand or DIY applications. For commercial concrete or areas with grease, oil and high traffic, we pretreat the concrete surface with a powerful degreasing/cleaning agent before cleaning the surface with a hot water industrial pressure washer. We don’t just remove dirt, mold, mildew and more from your surface. We eradicate growth BENEATH the surface, to keep it away longer. 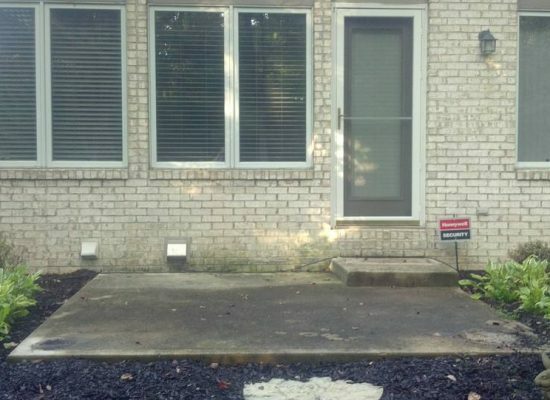 Our industrial-grade algaecide/fungicide and surface brightening solution further clean and kill the remaining mold, moss, mildew and algae spores that are embedded in the pores of the concrete or stone. 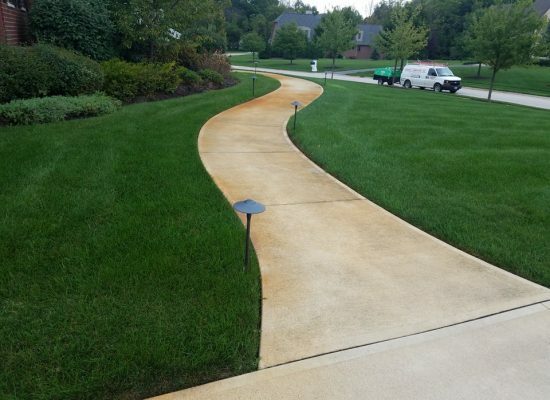 This application not only brightens the surface to like new appearance but also provides our customers with a totally disinfected surface and longer lasting results from our cleaning. 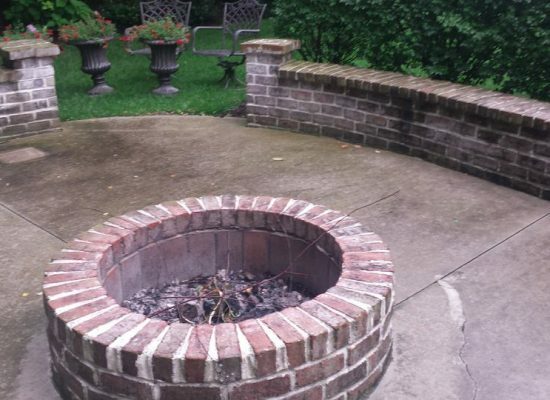 Our final step consists of power washing the cleaned surfaces with a wide angle fan spray, providing enough pressure cleaning to rinse away the treated mold, moss, mildew, and algae. 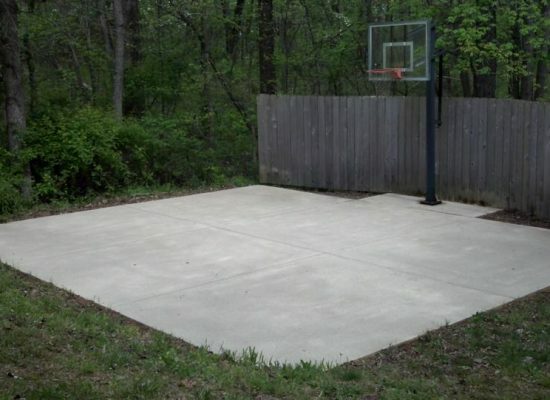 The result is a beautiful, clean concrete surface! 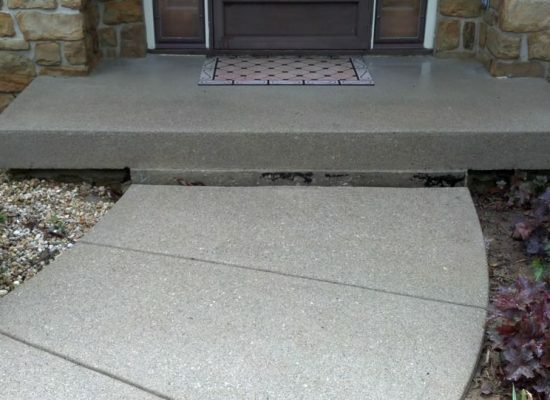 We also offer a full range of concrete sealing options to further protect your concrete. 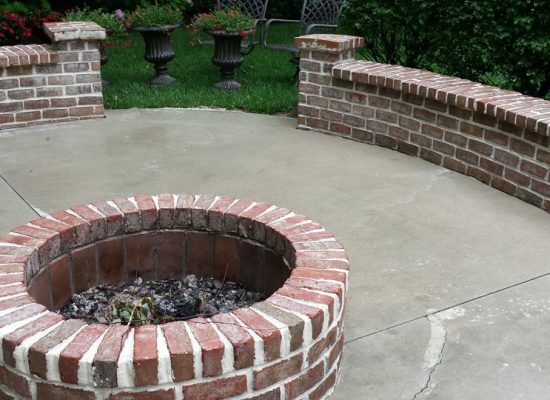 Contact us for a free concrete cleaning quote!